I have quite a few things swirling around in my personal life which are creating this need for me to return to some basic human needs for me; like yoga, meditation, and making bread. Last Sunday I made 5 loaves of rustic bread. There is something so simple about pouring the four ingredients together. There's an order to it. You begin with level teaspoons or tablespoons of yeast and you pour cups of soothing warm water over the yeast with a few sprinkles of sea salt. It's almost mystical as you watch it start to bubble and froth after a few minutes. While it's heating up I start measuring out cups of unbleached flour. One wooden spoon stirs it all together and then I use my hands, covered in some flour, to knead it around a little. My recipe doesn't require this step but I like it. Just don't do it too much. Before you set it aside to let it double in size shake some olive oil around the dough and the bowl. I only kept one loaf here; the rest I gave away to friends at school. Bread makes people smile and think of home. Sometimes people make chili for their family because you made the bread. It's a win/win for all involved. Meditation has the same effect. I like to sit on my bed right before going to bed and make some space in my brain. I can do it on my own but I've discovered three cool apps to help me as well. I started with Headspace created by Tibetan monk trained meditation teacher Andy Puddicombe. (read an excellent review here @ The NY'er) I like this app and it's guided meditation with Andy's British accent. I like that it gives me prompts during the day like "your meditation today can't wait until you get home" or other little motivational moments to inspire you. This one has free basics but you have to buy a subscription to unlock more content. I probably won't ever buy more I'll just keep using free because I like what Andy has to say. 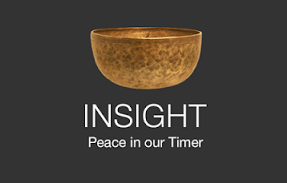 During an online conversation with my friend Erica, she shared that she uses Insight Timer to meditate daily so I downloaded that also. This one is totally free. I love that it gives me a more traditional meditation experience through bells, gongs, and wood blocks to begin and end my session. I don't love that if I miss a day (which I do) it starts back over. So if I miss one day but have meditated five other days it still logs me as "day one"; I want it to appreciate that I did the five days. It's still a great app and I've become accustomed to using both at different times of the day. 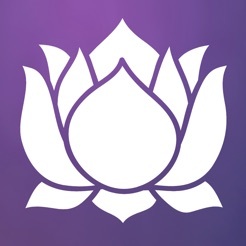 I met with my friend Lori for a drink and I mentioned meditation and she told me she was doing a 21-day thing with Oprah and Deepak so now I have that downloaded as well. These are longer sessions and to be clear I have yet to finish one but my heart is in the right place and I will get to it. In between, I have been doing some yoga to keep my bones mobile and stretchy. I especially love how my arms feel after a few downward dogs and planks. What do you do to stay stress-free? Drinking wine can also be helpful especially if good friends are involved. Salud!